A look at Argentina’s runners and riders (and fencers and hockey players and judoists…) for the London 2012 Olympic Games. In a measure of just how low-key Argentina’s 2012 Olympics build-up has been, it took a slick piece of political agitprop to get locals talking about the Games, due to start in London on July 27. On Wednesday, May 2, the Argentine government broadcast this advert, in which hockey player Fernando Zylberberg is seen training on the Falkland Islands, known in Spanish as Las Malvinas and claimed by Argentina. 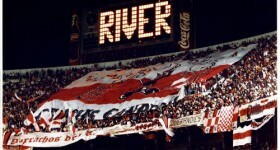 It was controversial – and the only topic of conversation around Argentine water coolers the following morning. 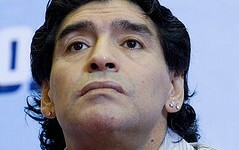 Whatever your perspective on the Falklands/Malvinas, at least it succeeded in renewing Argentine interest in the Games. So what are the chances that this publicity gold medal will be joined by a clutch of real ones? Pretty low, to be frank. 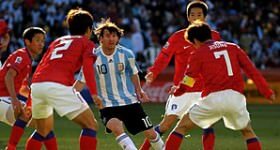 Argentina won two golds at the Beijing games, one in cycling (unlikely to be repeated this time around) and one in football (not to be repeated this time around since the team failed to qualify). In historical terms, however, the Beijing haul was actually a pretty good one. Argentina has won 66 medals (17 gold, 23 silver, 26 bronze) since the 1900 games, the first in which it competed. If this sounds paltry, consider that Argentina has a medal-per-head-of-population ratio of one to every 636,000 souls, which compares very favourably to Brazil, each of whose 91 medals took 2,200,000 people. 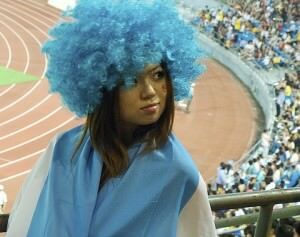 An Argentina fan in Beijing 2008; Photo courtesy of chumsdock cheng. Twenty-four of Argentina’s gongs came in boxing alone, suggesting the Argentine athlete of yesteryear was happier punching someone in the face until they fell over than (say) attempting to sail over a 20-foot-high bar using nothing more than a 17-foot-long fibreglass pole. 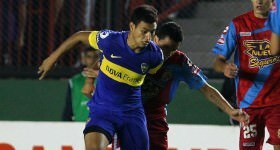 (At time of writing, pole-vaulter Germán Chiaraviglio is still attempting to qualify for London 2012.) But the golden, silver and bronze ages of Argentine boxing are long gone, and only two pugilists have qualified for London. 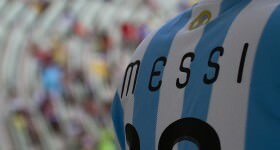 These days the Argentine athletes who travel in expectation rather than hope tend to be team competitors. Emanuel ‘Manu’ Ginóbili, who led the men’s basketball team to a surprise (though not to them) victory at Athens 2004, is arguably the country’s greatest Olympian. Now 35, Ginóbili will be leading out the so-called ‘golden generation’ for the last time at London 2012, though he has conceded in advance that the bronze medal is the team’s realistic target. 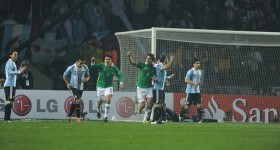 In the absence of the footballers – whose successful defence of their gold medal at Beijing 2008 involved such luminaries as Juan Román Riquelme, Sergio Agüero and current Fifa Ballon d’Or holder Lionel Messi – Argentina’s hopes for a team gold rest on the women’s hockey team, nicknamed Las Leonas. Captained by Luciana Aymar, the greatest female stick wielder of her generation and like Ginóbili in her Olympic swansong, the ‘Lionesses’ will be hoping to improve on the bronze medal they secured in Beijing. 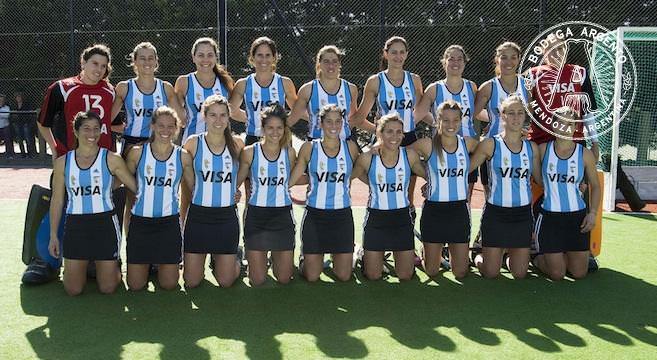 Las Leonas; Photo courtesy of Luis Oviedo Ortiz. The recent qualification of the women’s beach volleyball team – the first Argentine team to compete in this new-ish Olympic event – means that that number of Argentines competing in London will certainly exceed that of Beijing 2008. At time of writing, 140 athletes will participate in 28 different events – and there’s still time between now and July 27 for those numbers to grow. Juan Martín del Potro; Photo courtesy of Carine06. Take for instance 26-year-old María Belén Pérez Maurice, Argentina’s one and only fencer at the London games, interviewed here for Chinese television by Brian Byrnes. Pérez Maurice, who’s probably not in line for a Nike endorsement deal any time soon but doesn’t seem to care, trains in a draughty looking Hungarian church hall in Buenos Aires. When people talk about the fabled ‘Olympic spirit’, they have people like Pérez Maurice in mind. Other Argentines you won’t have heard of but who have busted a gut to represent their country include the taekwondoist Sebastian Crismanich; the judoist Paula Pareto; and the highly promising young javelin thrower Braian Toledo. None of these athletes are expected – except by themselves – to come home with a medal. But simply by getting on that plane, they are living out their dreams.